Most people associate pumpkin with Halloween, right? And why not? The jack-o-lantern, the festive color, the carve-a-bility and all that of pumkpins make it a great way to mark fall and the festive party we all know as Halloween. Pumpkin as well anchors the after-glow of Thanksgiving. Once the stuffed turkey is dispatched it is time to bring on the pie. But I tell you the love of pumpkin is the first truly American element of Christmas. Pumpkin love in America begins with Christmas. 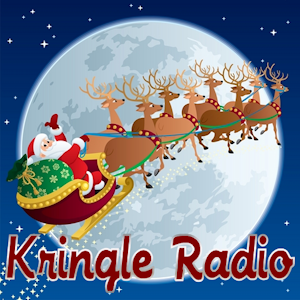 It has always been so and in this merry episode — and actually at 26-minutes this podcast is more of a pumpkin love fest — we get into the whys of pumpkin love and Christmas history. It is more than a thing. It is a forever element of what we call the holiday season — the first of many iconic aymbols of Christmas that we just love. Pumpkin is as popular and as necessary as mistletoe, Christmas trees, wreaths, candy canes and eggnog. How did the lowly, tasteless pumpkin become so beloved? Well, like fat, bald husbands everywhere that which is normal and bland is in truth indispensible. 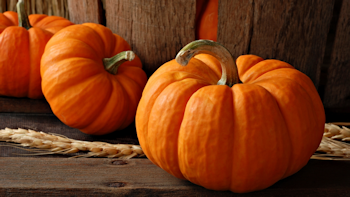 Pumpkin is versatile, has a long shelf life, is festively colored and mixes well with, well, everything. Apple pie is America’s favorite. But nobody wants it at Christmas or Thanksgiving. That is exclusively the place for pumpkin. In fact, pumpkin has been so beloved in American history that scores of newspapers have over time featured stories and even poetry about the pumpkin. If you have a pumpkin obsession — and seeing how pumpkin goes into everything this time of year, you must — this episode justifies you. Loving pumpkin does not make you a freak. It makes you a patriot of the first order and it could very well run in your veins if you are of Puritan ancestory. I love your podcasts. They somehow capture everything I love about Christmas. You get that pumpkin/fall is the kickoff to the Christmas season. Your content is art. It gives me that warm fuzzy feeling that is only known during the most wonderful season of all.